I don’t do this often enough, as today I was cleaning my junk mail boxes at work Wednesday and Thursday and found some information about favorite Halloween costumes and favorite Halloween candies. I chose not to read either. However, I’m guessing Donald Trump and his plastic hair were somewhere near the top of the one list, and candy corn was somewhere near the top of the other. And speaking of candy. Here’s a news flash. According to the website www.candystore.com, those heart-shaped boxes of chocolate are no longer the most popular Valentine’s Day candy. They’ve been surpassed by one of my favorites, those mutli-colored hearts that come with messages on them. Now, Ohio, as often happens, doesn’t follow the national trends. In Ohio, those heart-shaped boxes of chocolates are still No. 1. No 2 is the conversation hearts. And No. 3 — and I’m clueless about this one — are Wild Berry Skittles. Valentine’s Day is a favorite of many. It’s no secret people spend big on Valentine’s Day … on flowers, jewelry, romantic weekends away. People will spend $1.7 billion dollars on candy this year. ♥ More than 40 million heart-shaped boxes of chocolate will be sold for Valentine’s Day. ♥ Caramel-flavored chocolates are the most popular in those boxes. ♥ Chocolate-covered nuts were a close second, according to the NCA. 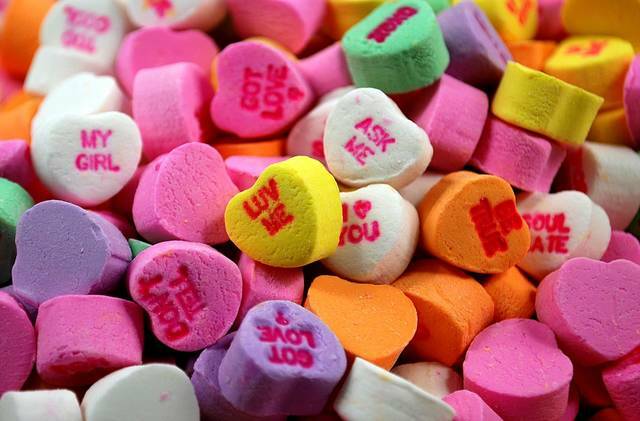 ♥ Approximately 8.2 billion conversation hearts will be produced this year. ♥ Conversation heart candy vodka infusions became trendy last year. ♥ 69 percent of people prefer chocolate over flowers as a Valentine’s Day gift. And, if you have a few — or a couple bags of the candies left after the holidays, the website has some ideas and recipes how to use them that include Rowdy Rice Krispes, Gabby Gooey Brownies and even as a way to spruce up leftover popcorn. Off the top of my head, I’m thinking trail mix. Anyway, husbands and boyfriends — wives and girlfriends, too — you still have more than two weeks together for Valentine’s Day. So, don’t screw it up. Also in my jump mail, from the website www.noredink.com, in information on the most common grammar mistakes made in the U.S.
It’s something I am familiar with, as there are too many mistakes in this newspaper, both online and in the print edition. We try to give everything a good proofread, but we miss things. And lots of readers are not shy about letting me know about grammar errors … and that’s OK, as constructive criticism can be very helpful. Ohio ranked 35th in the nation overall. Ohio’s grammar and writing “superpower” is correlative conjunctions. In Ohio, 80 percent of students can correctly identify whether a statement is a fact or opinion, but only 64 percent can detect whether those opinion not be defended, are indisputable, or worthy of debate. Ohio students can distinguish between when to use “affect” vs. “effect” less than 60 percent of the time. In Ohio, students can distinguish between when to use “right” vs. “write” 92 percent of the time. Students in Ohio can identify the claim, evidence, and reasoning in a paragraph just under 50 percent of the time. Just 31 percent of students in Ohio can properly cite a quote from a book. Washington is the best state in the nation at distinguishing facts from opinions, just edging out Connecticut. North Dakota is the best state in the nation at “their,” “they’re,” and “there,” just edging out Delaware. Only 30 percent of students can identify the subject of a sentence. Fifty-one percent of students can detect and avoid plagiarism in their writing. Fifty-two percent of students can tell whether a piece of reasoning logically connects claims and evidence. Thirty-nine percent of students know how to pluralize proper nouns that end in -s or -z. (Joneses, Alvarezes). Only one in three students can identify wordy, unnecessary, and redundant language. Fifty-three percent of students know to capitalize the names of political groups and parties. Using commas to interrupt a sentence with transition words (like “however” and “therefore”) is one of the hardest comma rules for students. Thirty-six percent can do this correctly. 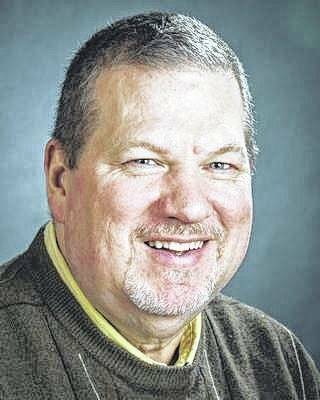 Russ Kent is editor of the Galion Inquirer. Email him at rkent@aimmediamidwest.com.